CIGNAL, the Philippines ’ fastest growing satellite TV provider and TV5 sister company, will launch the Weather Information Network ( WIN ) – the country’s first dedicated 24/7 weather and public information channel. The launch is opportune as the country prepares for the onset of the rainy season which according to the Philippine Atmospheric, Geophysical and Astronomical Services Administration (PAGASA) starts the middle of May this year. PAGASA Chief Dr. Nathaniel Servando singled out TV5 and lauded its commitment to improving weather news broadcasting. “TV5’s continuing improvement in their weather broadcasting system and closer cooperation with PAGASA will contribute significantly to the reduction of damages and casualties due to severe weather events,”. “The longstanding collaboration between PAGASA and the media, TV5 in particular has served the public very well specially during extreme weather events by communication accurate weather information in a timely and prudent manner to the public,” he added. TV5 invested heavily in developing its weather news broadcast capability by partnering with METRA, the world’s number 1 weather news service and recognized provider of weather products and services, such as graphical rendition of weather updates for use by its media and other industry clients. METRA is New Zealand ’s privately owned meteorological service and is a member of the UN World Meteorological Organization. 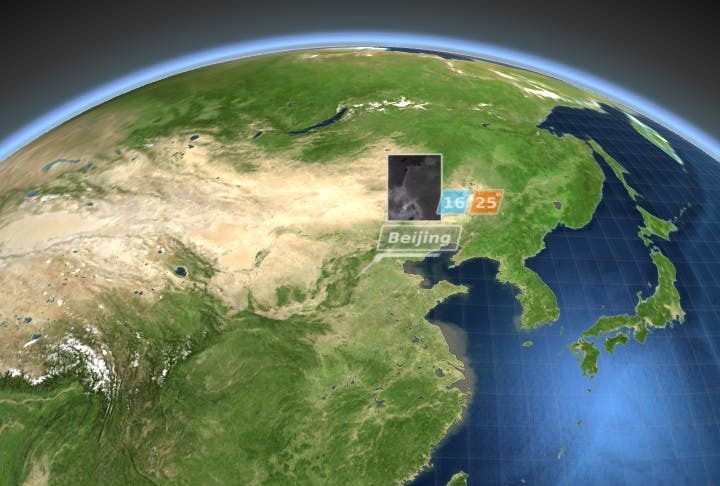 It has over a hundred clients in Asia , Europe , the Middle East , North America and Australia . Multinational corporations, such as those involved in energy, infrastructure, retail and food services, use METRA to fine tune its operations in order to maximize profits and minimize loss. TV5 has been giving detailed weather information through its Aksyon Weather Center since 2010. Now, using METRA’s advanced computer based weather visualization system and information from PAGASA, TV5 can now make weather updates easily understandable to the laymen audiences – gone are the days of a static map and grainy black and white satellite photo. 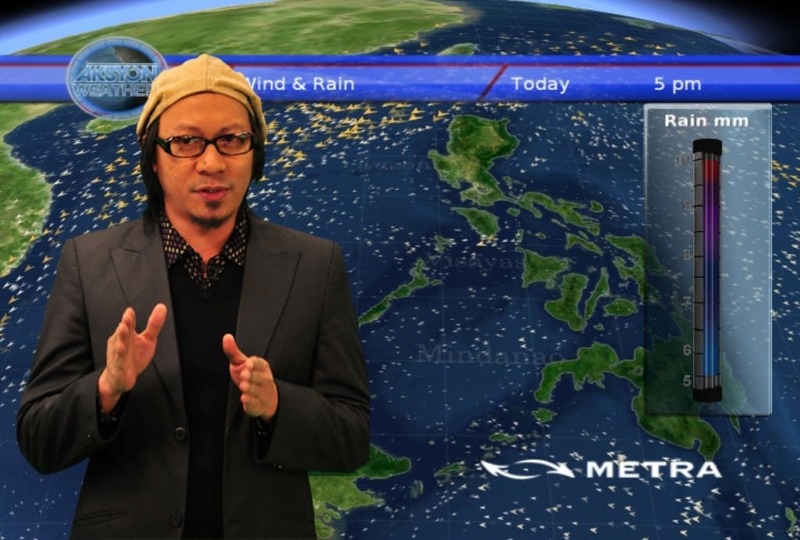 With METRA provided graphics, TV5 can now tell the weather story visually and better than anyone in the Philippine broadcast industry. Full color and full motion graphics can show projected storm tracks, wind direction, rain volume and water conditions. Apart from giving the general overview of Philippine weather, TV5 is able to do fly – bys of regional and provincial weather as well as niche weather updates, such as beach / resorts, shipping and seven day forecasts. 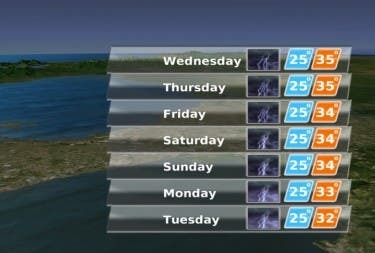 For non-Cignal subscribers, relevant and up-to-date weather reports will still be possible through TV5’s free-to-all platforms such as TV5, Aksyon TV, Radyo Singko and InterAksyon.com’s weather updates. Cignal, the country’s largest direct-to-home satellite TV provider with over 250,000 subscribers, has earlier launched its own living magazine channel Colours and sports channel Hyper last April. It also unveiled additional HD channels – making it the premiere pay TV provider with the most HD channels nationwide. oo nga walang sinabi sa kapamilya kasi nman kahit may eroplano na ung news department nila kulilat prin ang ratings pagdating sa news compared to GMA News!! Try nyo muna mag build ng credibility.. goood advise right? hay, nakipag partner, d naman kayang gumawa ng sariling diskarte. walang kwenta. tama na ang network wars. support na lang ang gusto nyong shows, tigilan na ang paninira, walang patutunguhan yan. akala nyo lang walang effect yang pang aasar nyo, pero nakakadagdag pa yan sa paghihirap ng pinas. be positive guys. good move TV5. taken for granted, pero malaking tulong yan para ma-plano ng mga tao ang isusuot at dadalhin nila for the days ahead. Bravo!!! walang sinabi yan sa kapamilya ! available ba to sa lahat ng plan just like hyper and colours?